Auto retractable knife automatically returns when thumb is off its slider for greater protrection when not in use. Heavy duty knife with auto locking system to secure the blade while cutting. Heavy duty knife with manual locking system to secure the blade while cutting. 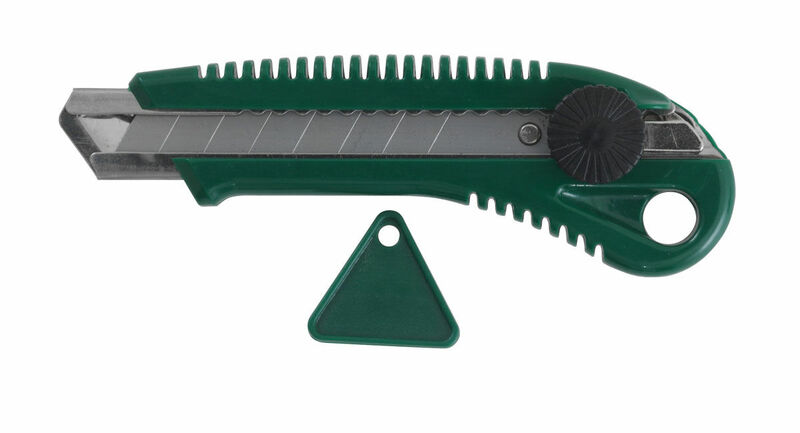 Heavy duty knife with screw locking system for extra safety while cutting. Large manual locking knife suitable for jobs around the office. Heavy duty knife suitable for both left and right handed users. 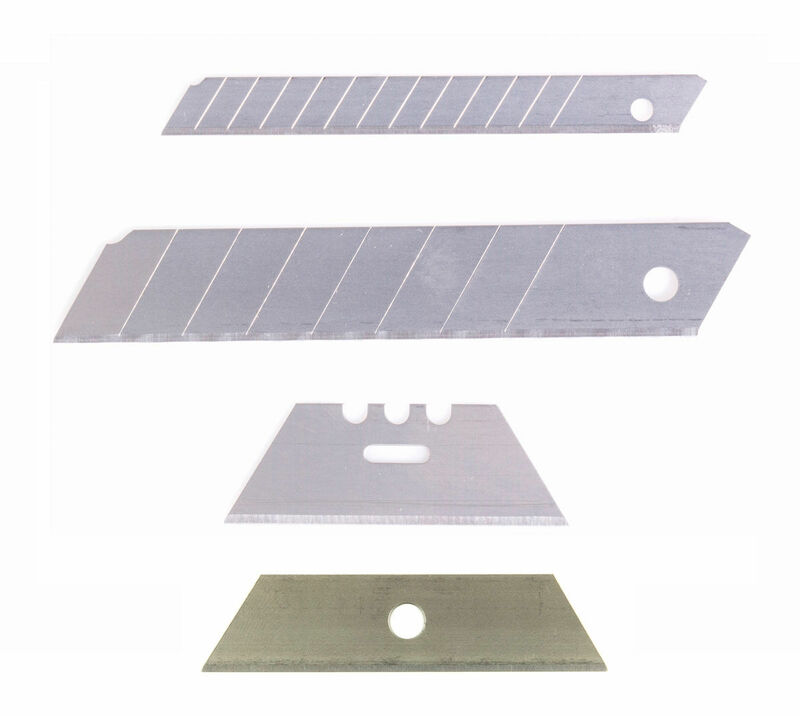 Replacements blades for all Celco Knifes. 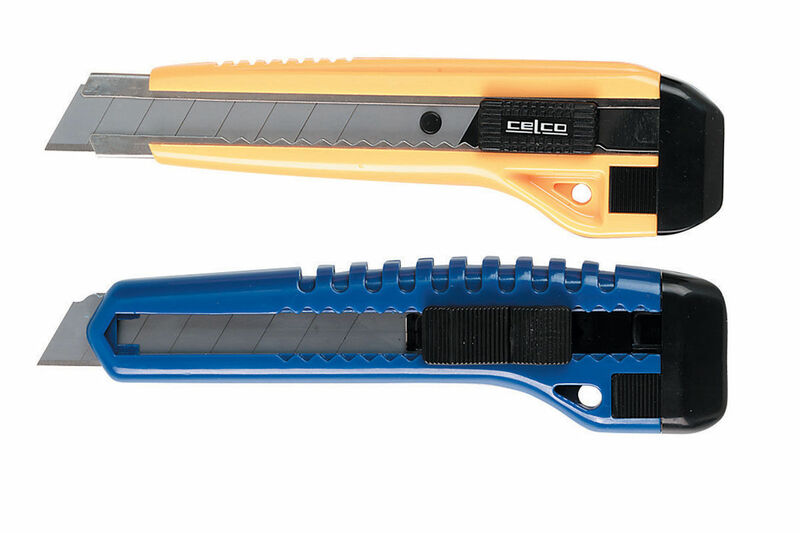 Die cast metal bodied knifes for maximum durability.